You probably have a good idea of what to do if a person in your home needs first aid, but have you thought about what you would do if your pet needed first aid? 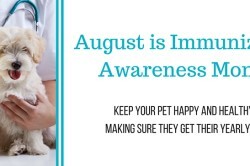 Choking, heat stroke, poisoning, and allergic reactions are all potentially life-threatening situations for your pet. Animal Services encourages you to learn more this April during Pet First Aid Awareness Month. Contact your local American Red Cross to find out if they offer pet CPR courses. A cat and dog first aid guide with DVD is available through the Red Cross. Create a first aid kit for your pets so you will be prepared for any emergency – we have a list of items here. 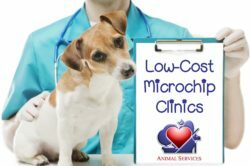 Ask your veterinarian what items should be included and how they can be safely used on your pet. The best way to help your pet in an emergency is to be prepared and remain calm. Contact Animal Services at 360-352-2510 if you are in need of educational resources. 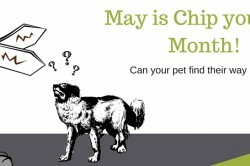 May is microchip your pet month!